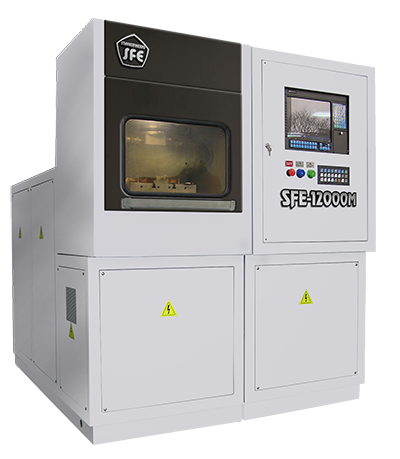 Electrochemical machines, electrochemical machining (PECM, ECM) - modern equipment and a high technology of alloys and materials processing of nanotechology level. Serial production of modern high tech electrochemical machines for dimensional, precision and electrochemical machining of conductive metals and alloys. 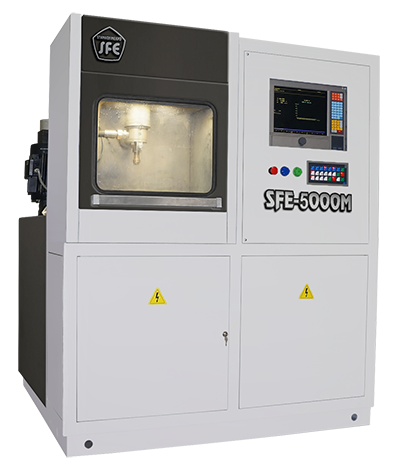 SFE electrochemical machines are used for manufacturing of dies, die and technological tooling, dies, press molds, matrices, marks, punches, stamps, engravings, removing slivers with a high degree of accuracy and roughness for the minimum time without wearing tool electrode. 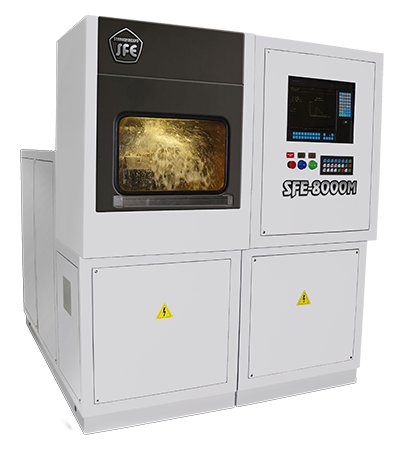 Developing, manufacturing and maintaining modern SFE electrochemical machines, designed for electrochemical dimensional pulse machining. Warranty maintenance and service for electrochemical machines. Personnel training on rules and methods of operating electrochemical machines. Modernization of electrochemical machines on Customer’s request. Major overhaul of discontinued ECM machines, manufactured in Kirov city (regional). Development of engineering documentation, articles processing technology, technological tooling for electrochemical machines. 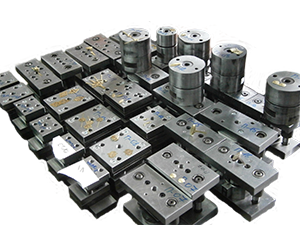 Manufacturing matrices, dies, punches, die tooling, press molds with the electrochemical machining method (ECM). Safety and ecological friendliness of technical process. Our delivery experience includes the whole territory of Russia, Kazakhstan, Belarus, the Ukraine, Poland, Germany, the Czech Republic, Italy, Switzerland, China.